Holiday Traditions – What Brings You Joy During the Holidays? We asked our women attorneys to share their favorite joyful holiday traditions, photos and easy, fun recipes that they look forward to each year. Happy holidays! Our holiday tradition is grasshopper pie. My mom grew up in Michigan where the famous restaurant Schuler's featured grasshopper pie. Mom always loved it, began making it, and brought it down South when she married my dad. It's a beautiful pie with a chocolate cookie crust and a pretty green color (made with crème de menthe, not grasshoppers) that everyone looks forward to at Christmas. Now that my mom is gone, my dad started making the pies for our Christmas dinners. Click here for the original recipe from Schuler's and try it at home. I started a tradition with my daughter of making a Christmas ornament every year to decorate our tree. Last year, I put her hospital bracelet and hat in a clear ornament. This year, we'll make one with her hand/footprint that she will paint. 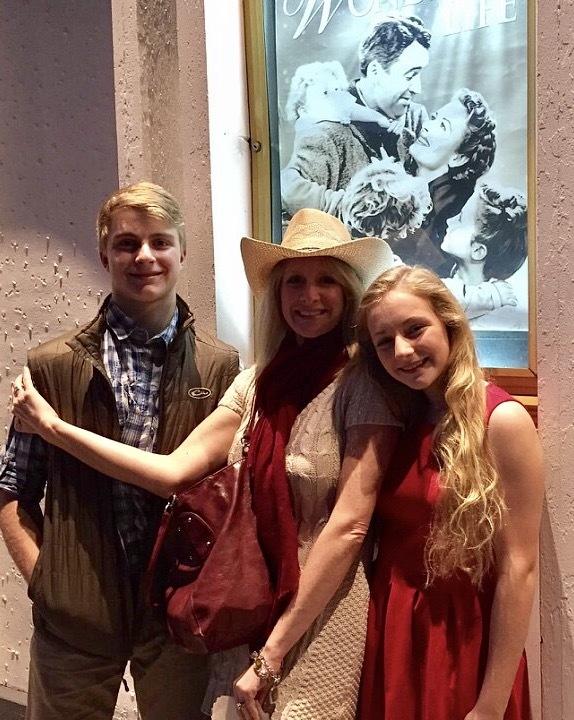 Now that our children are teenagers, our Christmas Eve tradition begins with a matinee of It's a Wonderful Life at our favorite independent theatre, followed by the candlelight service at church. We eat dinner at our favorite Indian restaurant, and then head home to sit by a crackling fire and the Christmas tree, open one gift each, read T'was the Night Before Christmas aloud, then snuggle up and hope Santa comes! I am an utterly un-crafty/un-creative person, but this was a fun and easy gingerbread house project. All you need is milk cartons, white icing (pre-made in a container is fine), graham crackers and holiday candies. Take a small milk carton (pint size is probably best), smear it with the icing, and break the graham crackers up in appropriate sizes to cover all sides of the milk carton. Use some of the icing as "glue" to decorate your gingerbread house with the candy. It's a great activity for kids of all ages, all the materials are (more or less) edible, and no one has to slave over a hot stove making gingerbread. 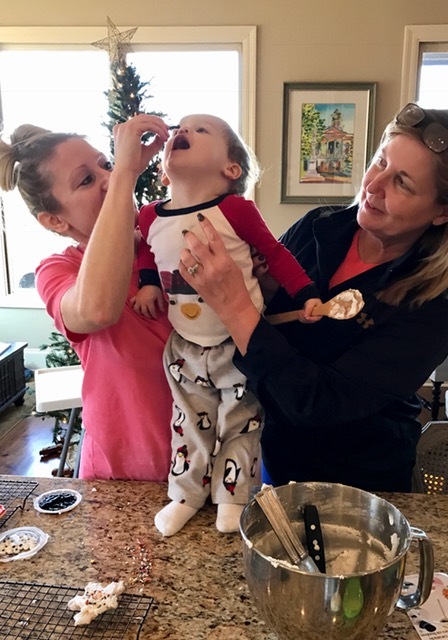 We love the holidays, and have several fun traditions in my family. We make holiday sugar cookies each Christmas. This is always a very messy but fun time. We also always schedule a trip to Canton, Mississippi to view the Christmas lights. Our tradition (since I was a baby) has been to open gifts Christmas morning and then have a family breakfast. Last, we love having our neighborhood Breakfast with Santa. This is a yearly event and always a fun time because we get to see Santa, have a nice family breakfast, and get to spend time with all of our neighbors and their children.